When the cold weather comes, I find I spend a lot of time indoors. That's when I realize how important windows are, for expanding my view and seeing the world outside. This is one of the windows in my apartment in the city, and I really liked the pattern of the shadows on the glass. I realize I have been taking a lot of pictures of windows lately, and of the views through windows. 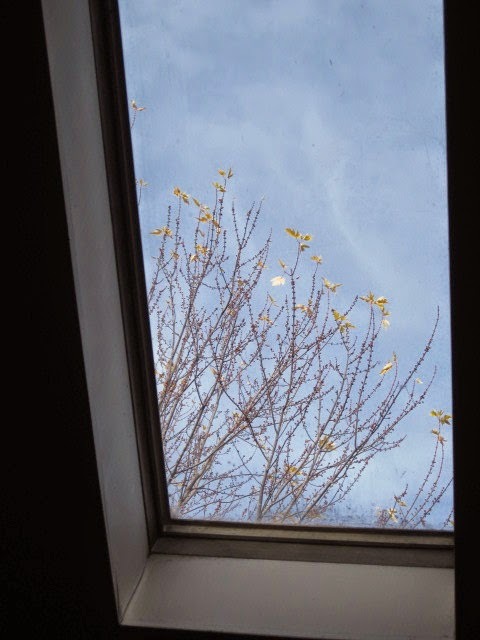 This is a skylight in my house in the country, showing the top of a maple tree outside. It is such a pleasure to look up through this window and see the immense blue sky above. 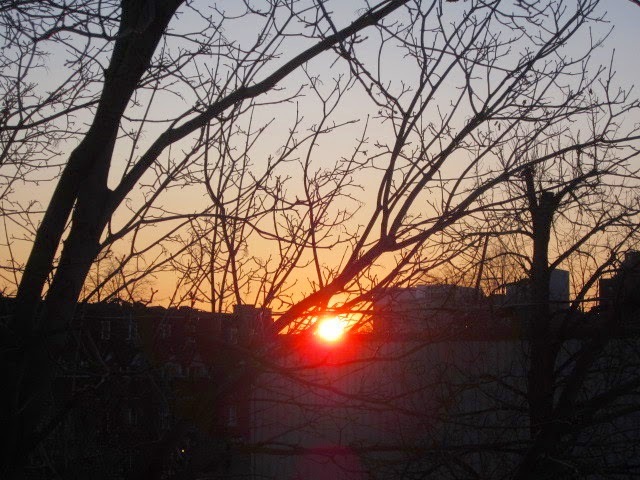 Sometimes I take pictures of the sunrise through a window, as I did one morning at my apartment in the city. It was such a beautiful start to the day. 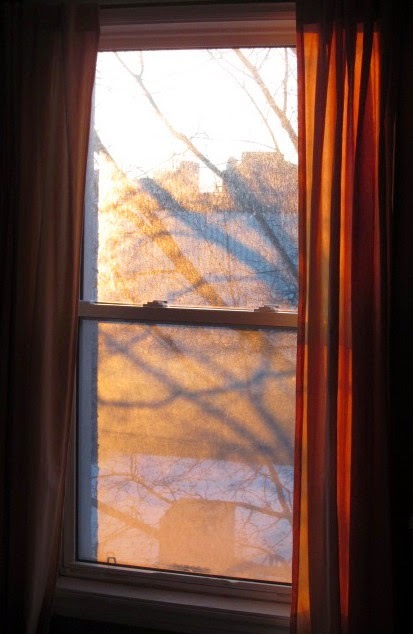 And sometimes I take pictures of the sunset through a window. This was taken from a window in the building where I work. I was looking westward over the city of Gatineau towards a bridge crossing the Ottawa River in the distance. And sometimes I take pictures when I am outside, looking in. 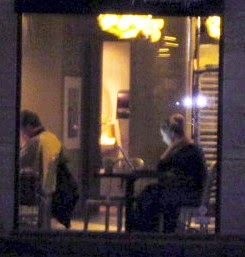 I took this picture when I was walking around the Byward Market, passing by a coffee shop. I was impressed by the fact that all the people inside were staring at their laptop screens. Oh well - I guess that was another kind of window for them. So I was looking through a window at people looking through windows! Cool! Always love your posts. Windows are so important, esp. in winter! !